Just four spots remaining for March 20-27, 2020, book now! Deposit: 50% payment secures your booking. Balance of payment is due 3 months in advance of trip start date. See Payment and Booking Conditions tab for details. Use the controller in the top left to look around as this video plays. I'm not a big fan of drones but I have to admit I like this video. 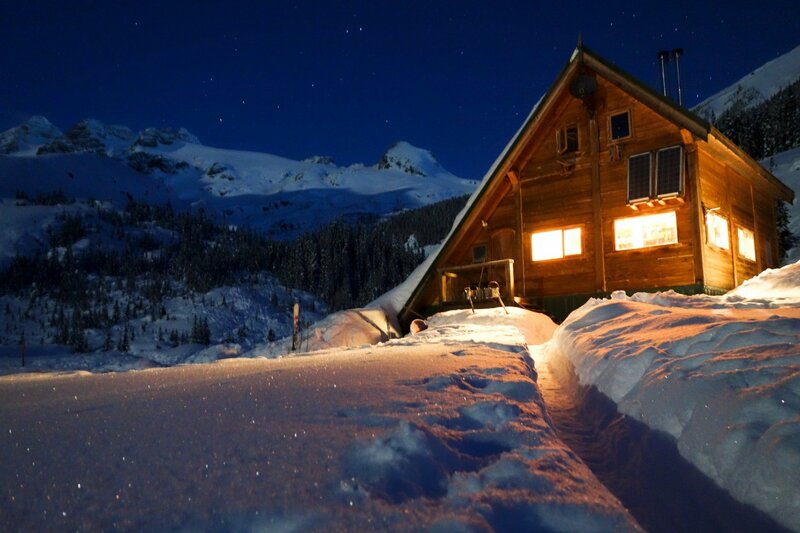 Burnie Glacier Chalet is located near Smithers in northern British Columbia. 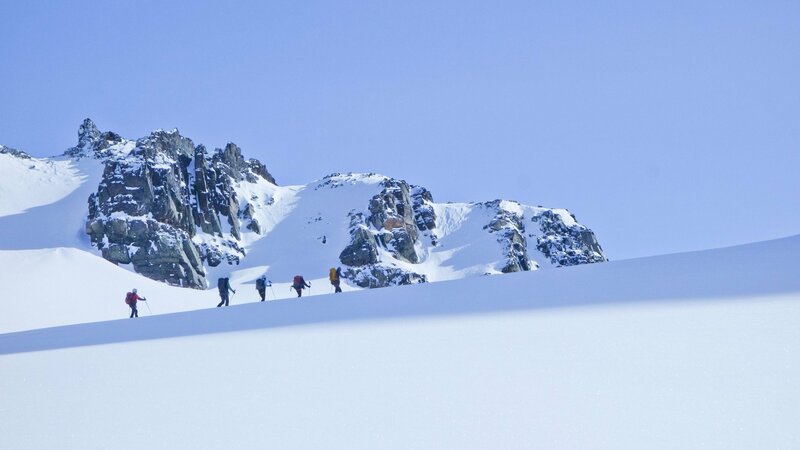 It has spectacular, rugged alpine terrain with beautiful ski runs that range in nature from gentle glacier runs that can be done in most conditions to steep tree runs for high hazard days, to incredible ski mountaineering trips high into the alpine. The Chalet is a simple but beautiful timber frame building, warmed by a beautiful wood burning kitchen stove with spectacular views of the towering Hut Peak, Burnie Glacier, Solitaire Ski Peaks and Lakehead Peak. It was built by Christoph Dietzfelbinger and a team of friends in the early 2000s. There are four bedrooms, each sleeping from 2 to 4 guests and including two double beds if there are any couples in the group. Pillows, sheets, and duvets are provided. You are encouraged to bring a couple of your own towels (one for using in the sauna, the other for drying off after your shower), although towels are available at the lodge in case you forget. 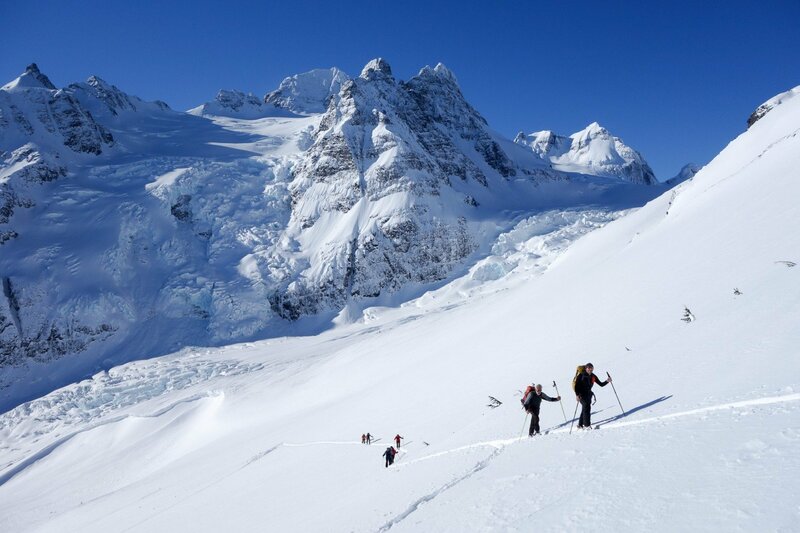 Burnie Glacier Chalet is perfectly situated for ski touring below the Burnie and Solitaire Glaciers and offers quick access to 700 m tree runs and 1400 m glacier runs that rise directly from the Chalet. 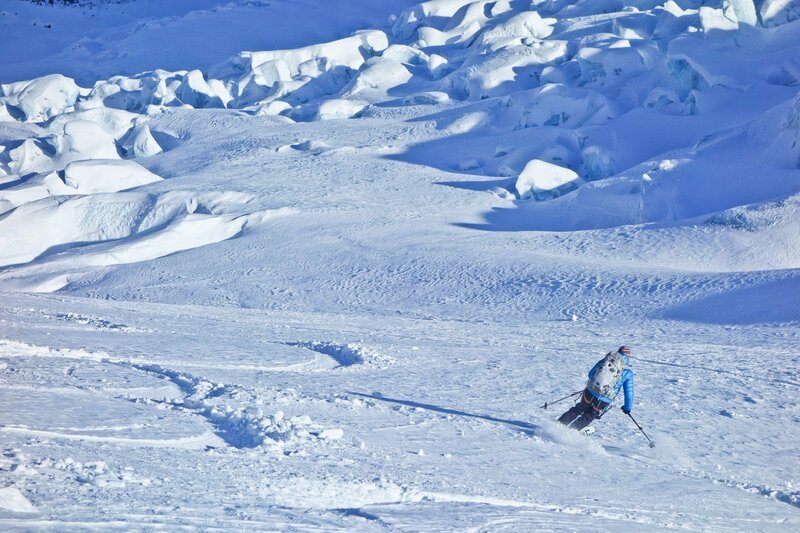 In fact most of the runs ski right back to the Chalet with no uphill travel at the end of the day! 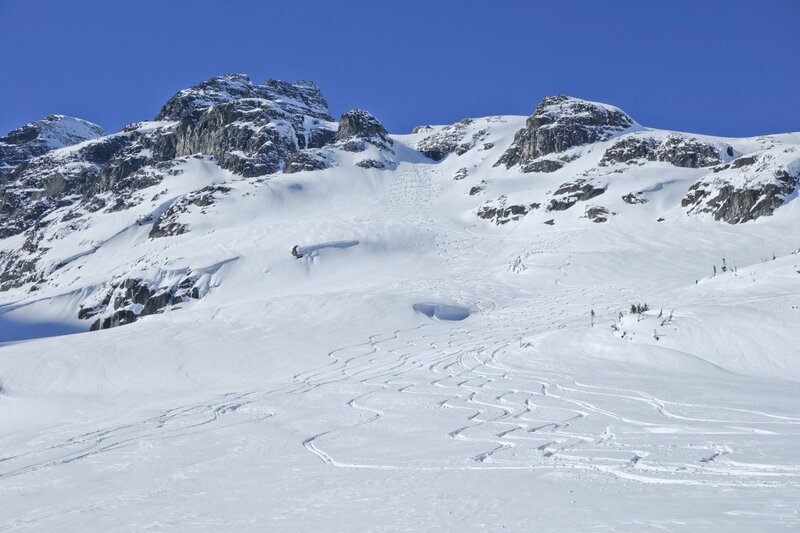 Simplest and easiest way to get to Burnie is to fly in and out of Smithers, BC. I recommend getting there the day before to allow time for your baggage to catch up to you in case it gets bumped. It’s tempting to try to arrive on the 9:30 am Friday flight, stroll across the tarmac and get into the helicopter to Burnie at 10:30 am, but it’s very risky! The airlines that service Smithers are Air Canada (Jazz) and Central Mountain Air. If you are flying out of Vancouver you might find that CMA offers the best rates and availability. You might also find you can get cheap points tickets to Vancouver, and then add a CMA flight for your last leg. For some reason flights to Smithers have just been getting more and more expensive over the years. You can also consider flying in and out of Terrace, BC which is a 2.5 hour drive from Smithers. Tickets to Terrace are often hundreds of dollars cheaper than to Smithers. You would need to rent a car, either as a one-way drop off twice or for the whole week — the costs work out to be about the same either way. If you choose to drive to Smithers from your home be aware that it’s a long, lonely 2-lane highway and while it’s well maintained for a northern BC road it’s quite a long haul and in a winter storm your pace could slow to a crawl. So check the weather and give yourself enough time. We provide a free shuttle service between the airport and hotel before the trip (Thursday evening and Friday morning) as well as after the trip (Friday afternoon). Please let us know if you would like to take advantage of this service well in advance. I recommend you stay the night at the Stork Nest Inn Thursday night. The Stork Nest includes an excellent breakfast the next morning and also provides free storage area for any luggage, ski bags, etc. you want to leave in town. 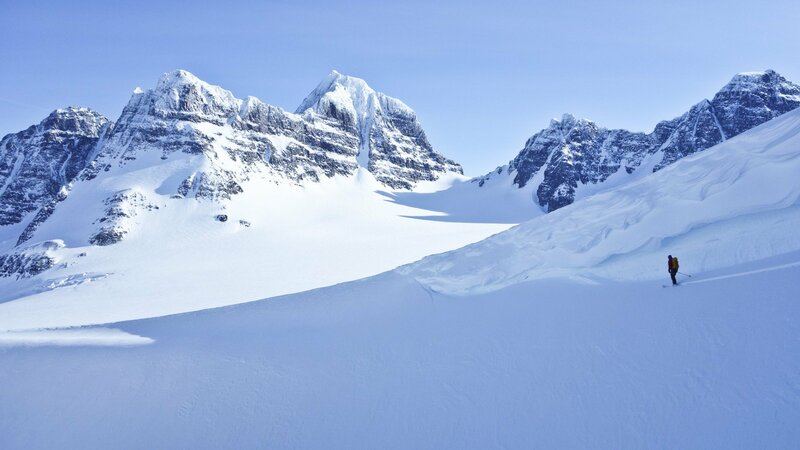 We are scheduled to meet at the Silver King hangar (next to the airport, tel: 250-877-1989) in Smithers, BC at 10:30 am on Friday to fly into the Burnie Glacier. If this changes I will let you know as soon as possible. 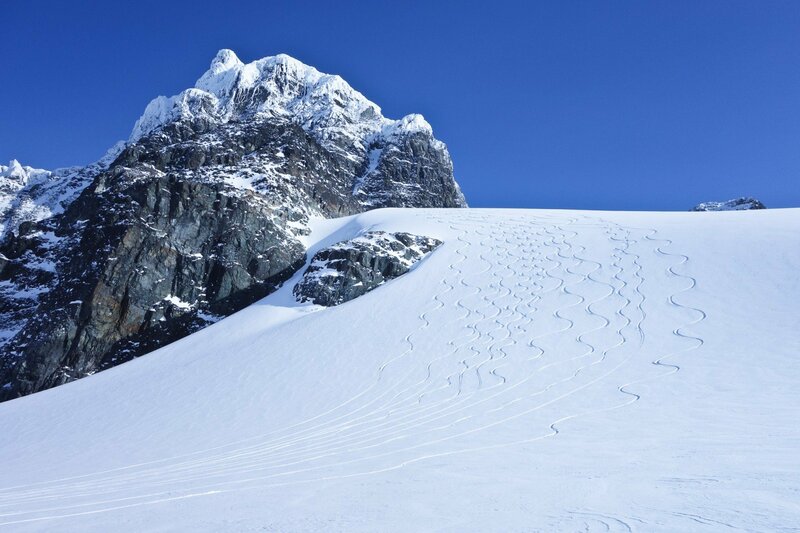 If you plan to stay at the Stork Nest Inn in Smithers we will send a taxi to pick you up at about 10:00 am. If you have made arrangements to stay elsewhere please let me know so that we can arrange to have you picked up at the correct time. 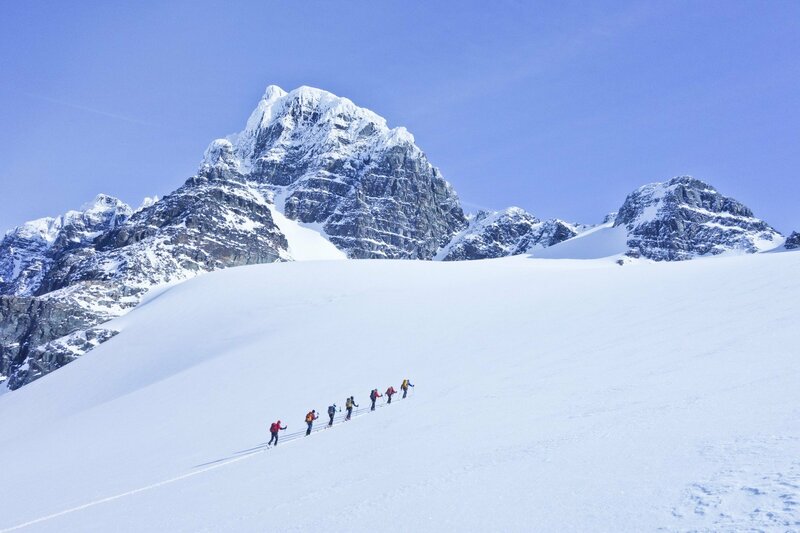 We plan to be back in Smithers by 17:00 on the following Friday at the very latest but usually as early as 14:00. 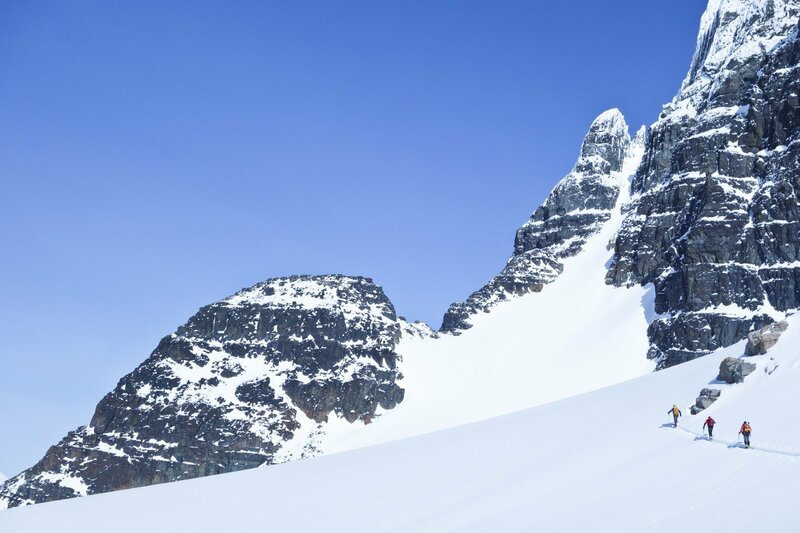 If you choose to book a flight out of Smithers earlier than 18:00 (Central Mountain Air offers a flight out of Smithers at 14:30) check with me first, and be sure to get the appropriate insurance to cover you in case of weather delays out of Burnie. 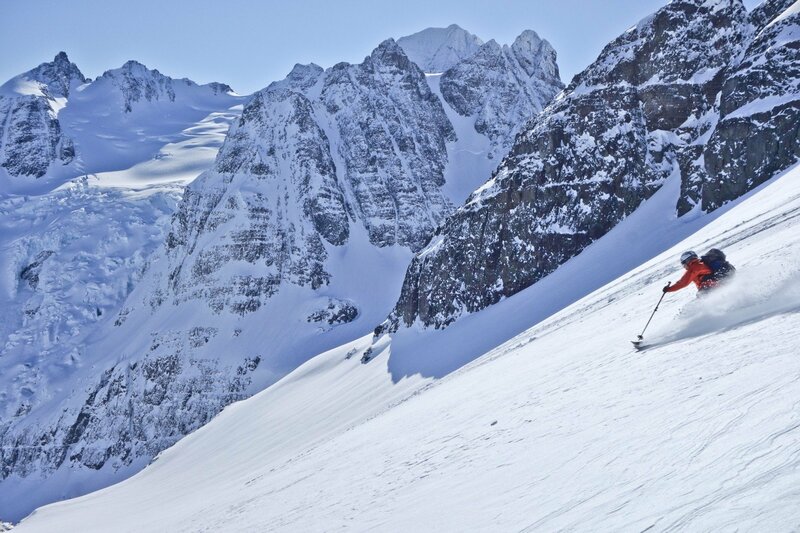 Please do not transport your skis/poles in ski bags. 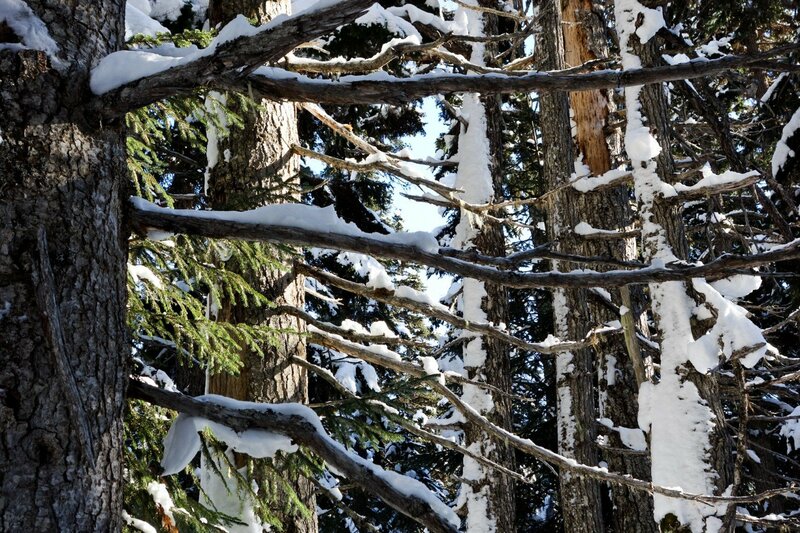 Leave your ski bags at the Stork’s nest. The helicopters have limited space and ski bags take up too much room. Don’t worry, we’ll be gentle loading them! A gear list for the week is attached below. 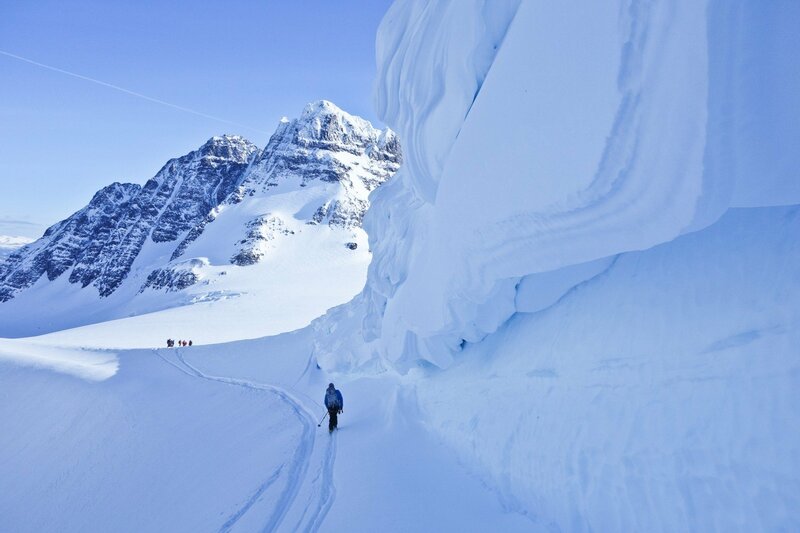 Despite being a mid winter trip you should bring ski crampons. 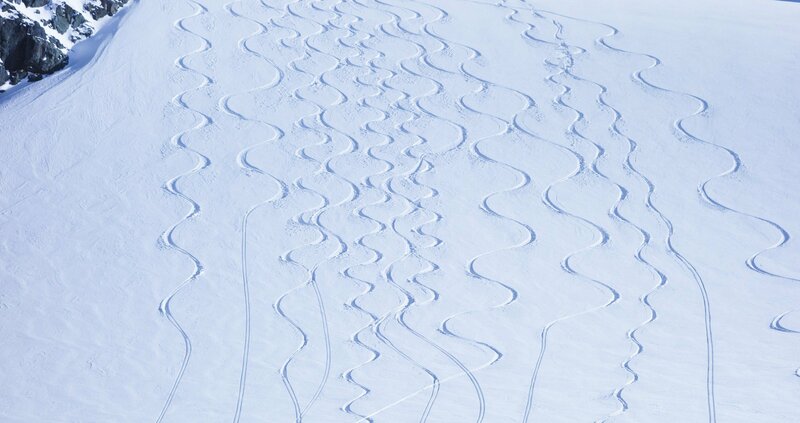 They can make a big difference even on a powder skiing week at times. If you have any difficulty obtaining these please let me know. I have some spares and can likely set you up with a pair. You will need a climbing harness with several locking carabiners. Please ensure that it fits comfortably over your ski clothes. 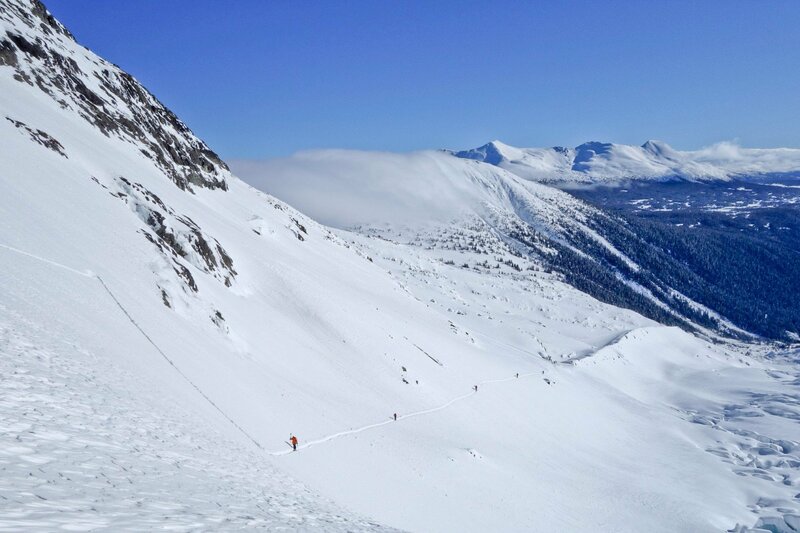 A light weight ice axe may be useful for some of the lines in the area, especially late season (late March-April-May) but if you don’t have one or aren’t interested in that kind of skiing then don’t worry about bringing one. We have extras at the lodge in any case. Book Now to hold your spot! The Book Now form takes about 60 seconds to complete. We will hold your spot until we contact you to answer any questions you might have. This is your opportunity to figure out for sure if this trip is for you, without obligation. Then we’ll get you to complete our Online Waiver and Application Forms before paying your deposit. Before signing through these documents read through them carefully and make sure you are comfortable with what you’re signing up for, and have a look through the booking “fine print” below. If you have any questions at any time do not hesitate to contact us. A deposit (typically 50%; see the trip description for the exact amount) to secure your place is due upon booking. Final payment of balance is due 3 months in advance of your trip start date unless specified otherwise on the trip information page and/or your invoice. You will be invoiced for your payments after you have confirmed your interest in the trip. Please note that deposits are absolutely non-refundable, and final payments (the remainder) are non-refundable after the final payment date. Credit Card payments are encouraged, especially if you have a card with trip cancellation insurance! Charges are made in CAD (foreign payments are converted to your local currency at your card company’s rate). We charge an additional 3.5% fee for card transactions. If your credit card provides you with cancellation insurance for this trip indicate this on your registration form and we will lower the convenience fee to 2%. Cancelled trips that have cancellation insurance are much less of a headache for everyone. Please consider this option. It could be a very affordable way to protect yourself. But look carefully into your credit card’s fine print to make sure this trip is covered. Non Credit Card Payments from Canadian clients: If you do not wish to pay by credit card we ask that you pay by E-transfer, sent to twolfe@sawback.com. There is no additional fee for Canadian E-transfers. Third party electronic transfer: You will need to fill out an agreement with our currency broker, Ken Fukami from Payline in Canmore, that includes your banking information to coordinate an electronic transfer (SEPA, EFT, etc.) There is no charge for this service and it is $50-100 cheaper than all other methods of payment from foreign clients. Contact us, or visit Payline’s website for details. PayPal: send money via PayPal to twolfe@sawback.com. There is a 4% charge to receive PayPal payments unless you send funds using the “P2P” a.k.a. “Friends and Family” method, which may cost the sender a small fee but does not cost us anything on our end, so no fee. Wire draft (bank to bank): Your bank wires our bank the money in CAD. We charge a $20 CAD fee for receiving these payments. Cheque: in either CAD or in your local currency (e.g. EUR, GBP, USD) at the rate listed on the trip information page on our website on the date of your booking. All fees paid are 100% non-refundable. We cannot be held liable for cancellations of any kind. Therefore we strongly recommend that you purchase trip cancellation and evacuation insurance to protect you in the event that you need to cancel or there is an emergency during your trip. 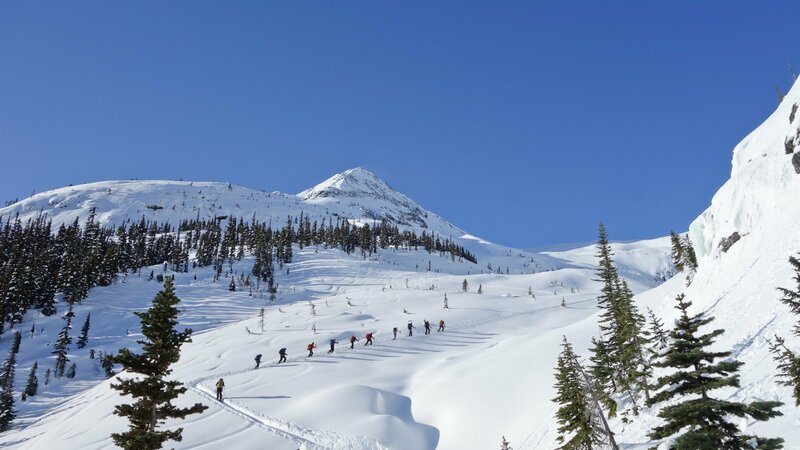 The Alpine Club of Canada and Lifetstyle Financial (BCLBC Plan) both offer plans for trips like this that might interest you although we can’t personally vouch for them. Note that many credit cards carry this insurance for trips paid with the credit card — contact your credit card company to be sure. Many of our trips are in remote locations. If you are injured or develop an emergency medical condition that requires evacuation, significant costs may be involved. We cannot be liable for the costs of emergency evacuation and so you are therefore encouraged to sign up for third party rescue insurance. The most robust plan we know if is through Global Rescue Services which services all areas we run trips to including Svalbard. You may choose to go with another but be warned that there are often exclusions that will render your insurance worthless when you need it. Global Rescue membership is $119 USD for a one-week trip — and it will cover you. You must sign our Waiver of Liability in order to register for participation in our trips. You can view a printable copy the waiver here: English Waiver and translated into several other languages (German, French and Japanese) here: Translated Waivers. If you have any questions about the waiver please talk to your lawyer and/or let me know prior to registration so I can help you. The application form collects personal information which I use to make sure that I provide you with the best possible trip experience. If you do not want to answer any of the questions or you are unsure about anything leave it blank and/or contact me for clarification. READ CAREFULLY – BOOKING, RESERVATION, DEPOSIT: A deposit of 50% of the total price or private guiding fee is due with your booking unless otherwise indicated. Please provide us with your credit card details, do a bank transfer (account information on demand), send an E-transfer to twolfe@sawback.com or mail me a personal cheque payable to Thomas Wolfe. Final payments are due 90 days before your trip starts. If you wish to pay in a currency other than what our trips are quoted in, please inquire with us for a quote in your preferred denomination. Euro payments are only accepted by bank transfers in Euro denomination. We also accept bookings from minors; however we do require the signature of BOTH parents or ALL legal guardians on both, reservation form and liability waiver. CONFIRMATION / TRIP INFORMATION: Upon receipt of the booking form with your check or credit card details we confirm your booking. 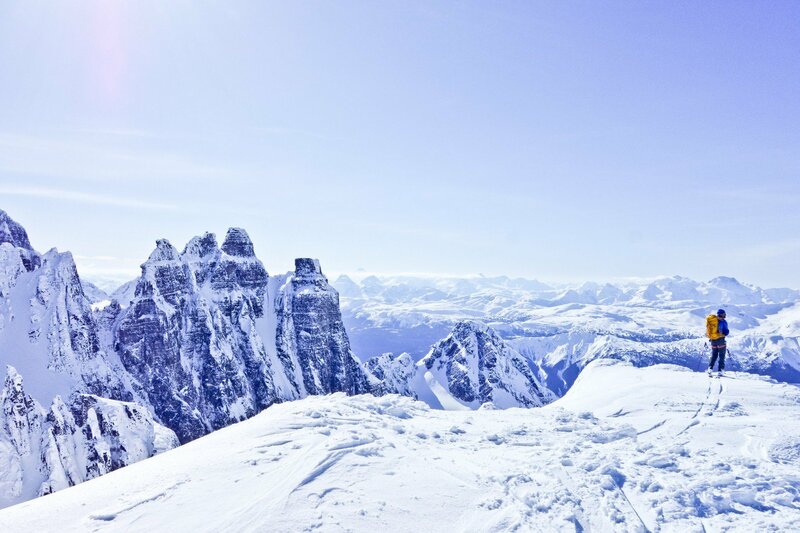 Each Backountry Ski Trip we offer has a detailed Information Package (available on our website) with the trip details, equipment list, proposed itinerary and logistics, etc. Read through this carefully before completing your registration. TRIP (CANCELLATION / MEDICAL / EVACUATION / THEFT) INSURANCE: Once we confirm your booking, we enter into financial obligations on our side and we cannot refund payments or release you from your contractual obligations. Therefore, we highly recommend buying cancellation insurance to cover your losses for the case that you can’t participate or have to interrupt your trip “for any reason”. 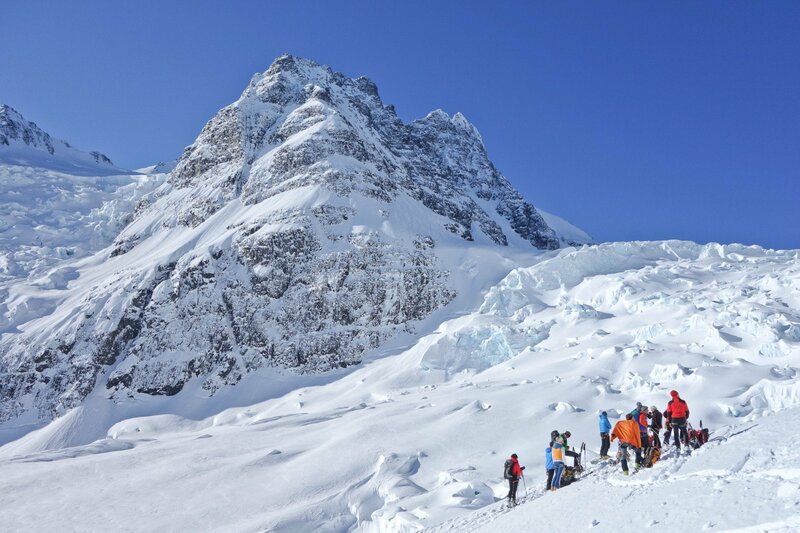 Also, all participants need to have internationally accepted health insurance for all activities pertaining to the trip, including coverage for emergency rescue and evacuation. 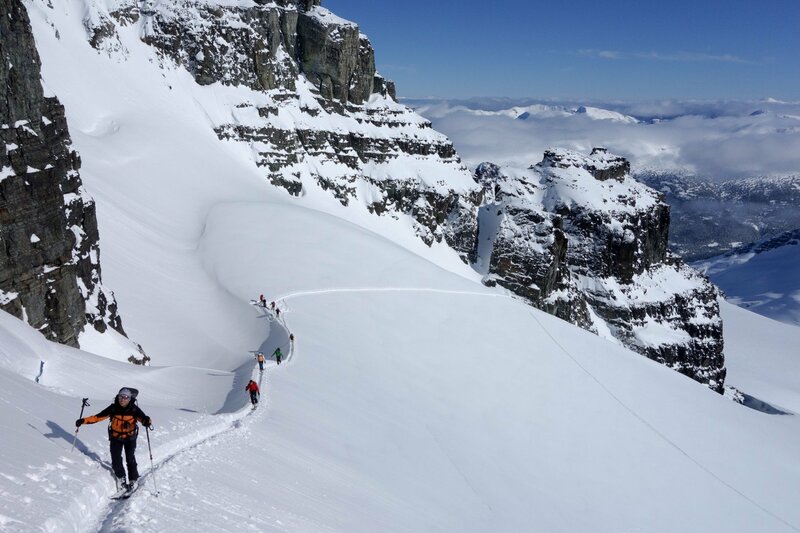 If you already have insurance, please make sure that you will be covered for “roped travel” booking a technical trip including “Via Ferrata” trips. 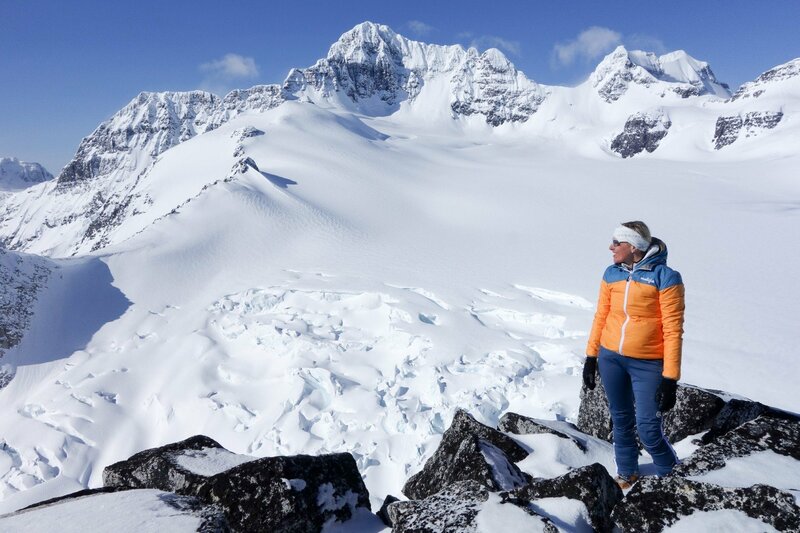 We gladly refer you to a travel insurance provider who offers “adventure travel insurance packages” and with whom our clients have had positive claims experiences in the past. Generally, you will receive the best benefits if you buy your insurance within 10 days of our booking confirmation. CANCELLATIONS: If you need to cancel a reservation, please do so in writing (best by e-mail). Please see the trip information package for details on your trip’s Cancellation Policy. CANCELLED PROGRAMS: Once we confirm your booking, we guarantee your trip departure. 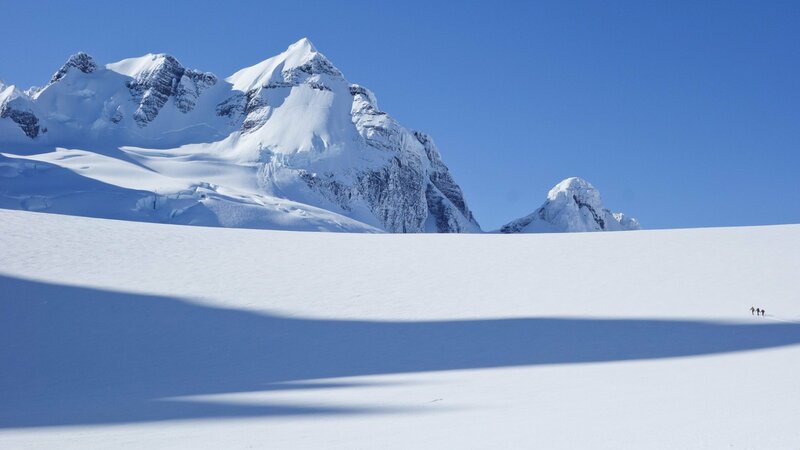 However, we do reserve the right to change guides, particular lodging or the itinerary should unforeseen circumstances (guide sickness, hut or route closing etc.) 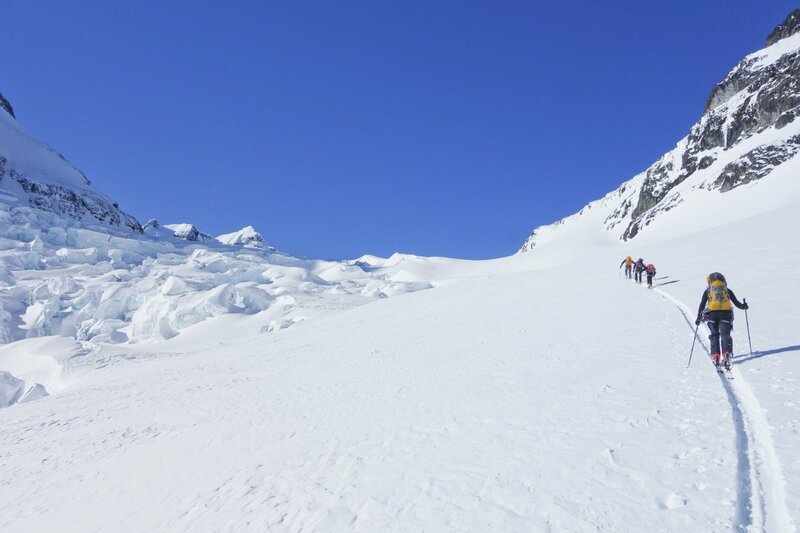 force us to do so or should the physical condition of the participants (see below), weather or mountain conditions make a continuation as planned too risky. PERSONAL FITNESS and GROUP TRAVEL: Our programs rely heavily on the integrity of each individual to assess his or her skill level and physical condition accurately. 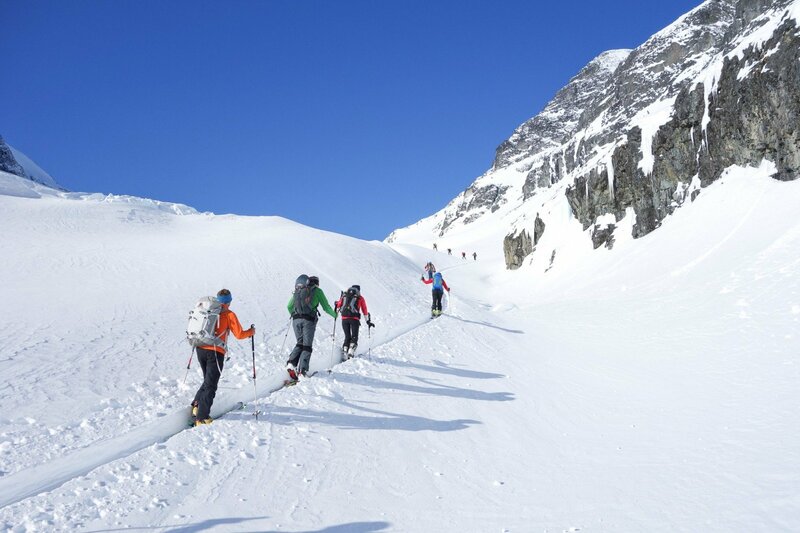 It is the responsibility of each participant to be aware of the necessary skill and fitness level for a particular trip. When in doubt, please call and discuss this with us! For the protection of yourself and other group members, we reserve the right to deny participation to any unprepared participant at any time of the trip, in which case we cannot offer a refund! In order to accommodate diverse levels of ability and ambition as well as diverse personalities, the decision making of the guide has to be geared towards safety and finding a consensus within the whole group, which may not please each individual participant at all times. 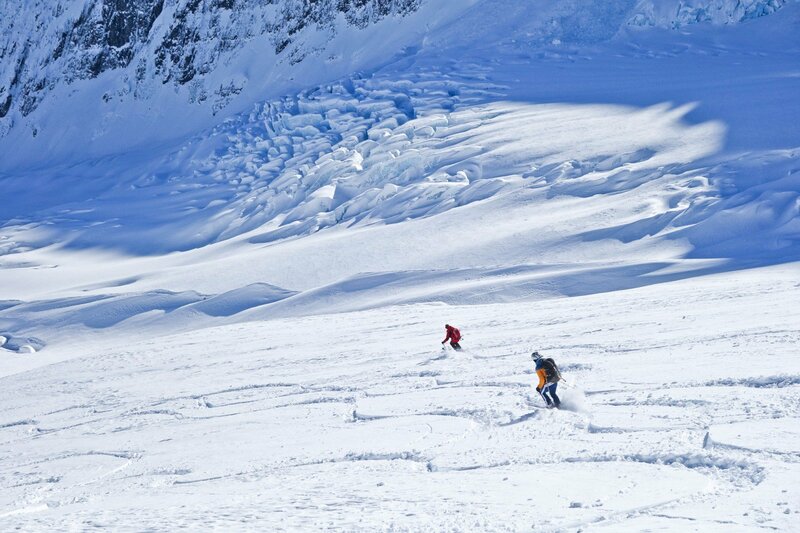 This is NW Interior skiing, a bit colder and drier than the coast but it still dumps! On the ice Burnie has a 4+ m snowpack mid-winter. 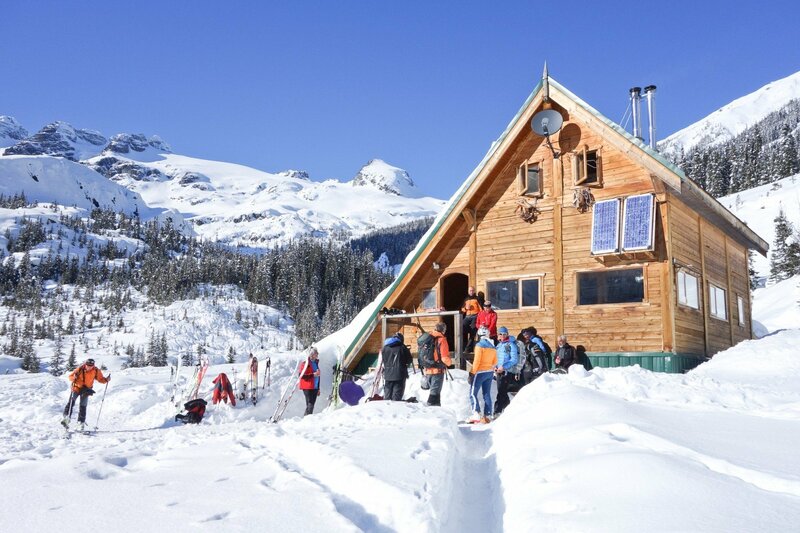 The lodge, at 1030 m ASL, is at by far the lowest elevation of any of the Canadian backcountry ski lodges. 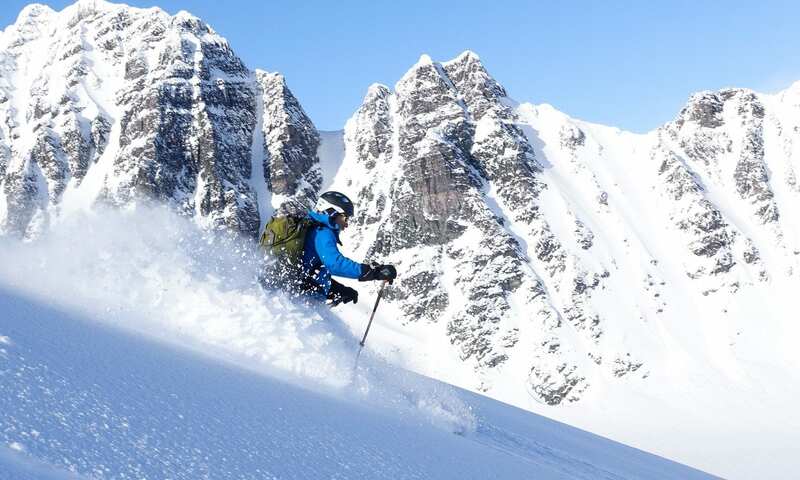 However, its northern latitude ensures a cool climate and great skiing into June. 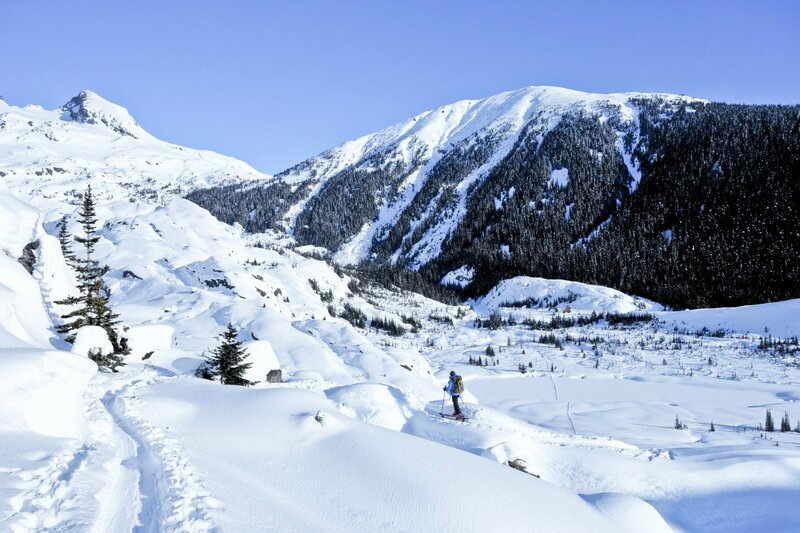 Temperatures in January average -20C to -10C, and in March -12C to -3C at the lodge. 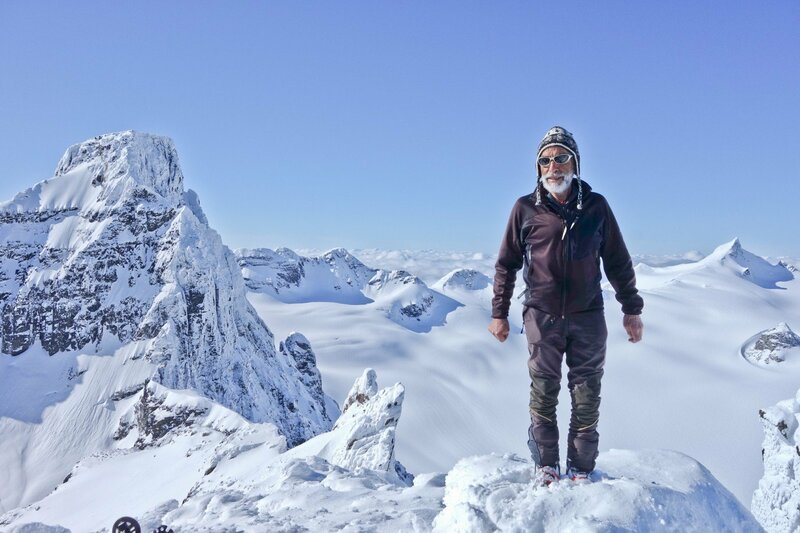 Tom Wolfe (Mountain Guide ACMG/IFMGA) has been guiding since moving to Canmore in 1995, the place he calls home with wife, son and daughter. 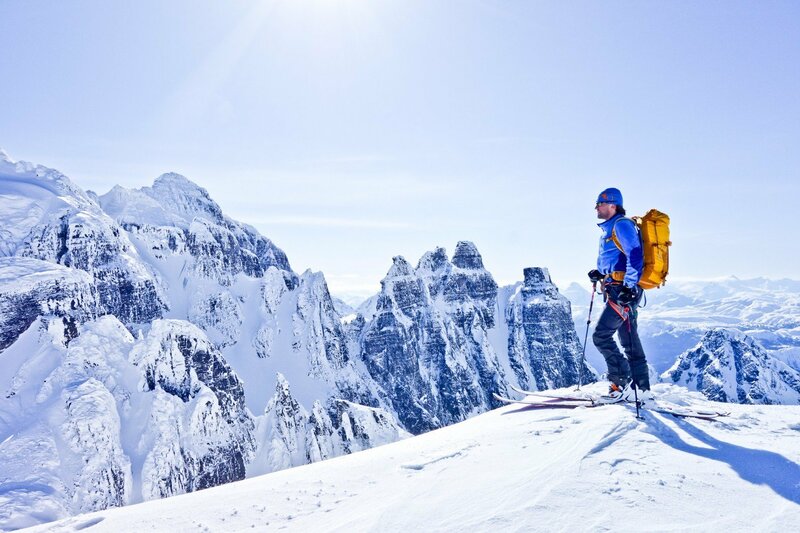 He guides year around, with winters being a mix of ski guiding at lodges, heli-ski operations, and remote backcountry destinations throughout western Canada. 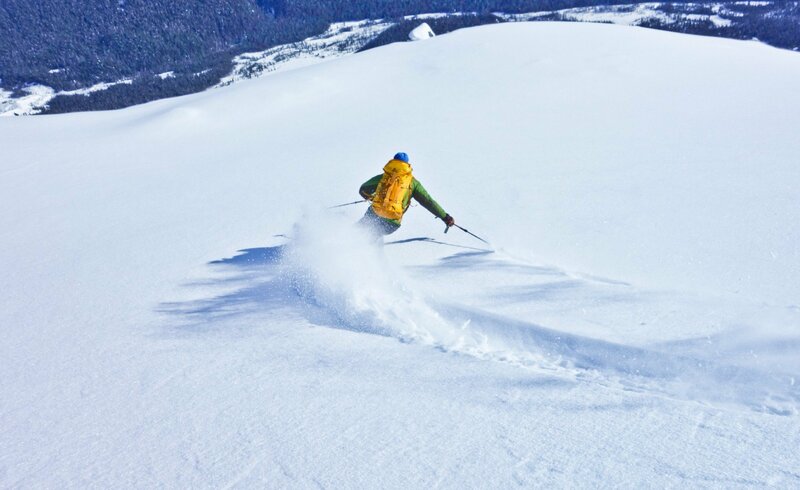 He has skied and guided many weeks at Burnie since 2004. 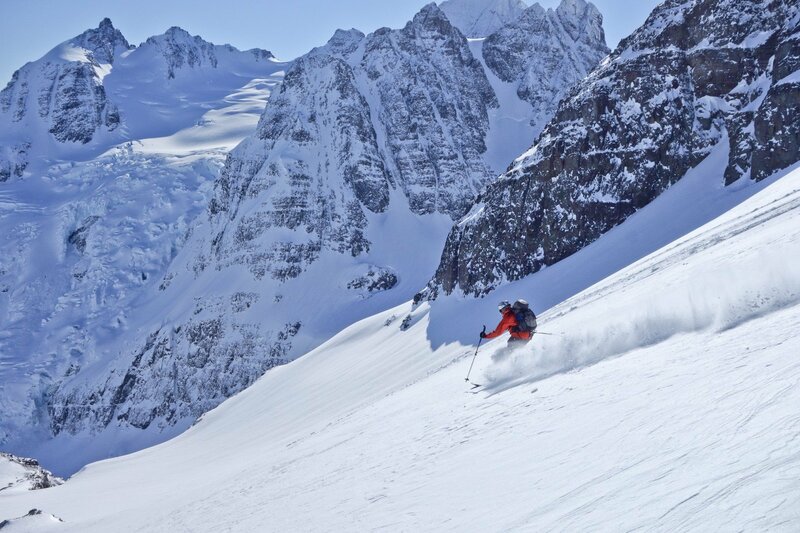 Ian Kirschner (Ski GUide, ACMG) has been ski guiding out of Golden for about 15 years. 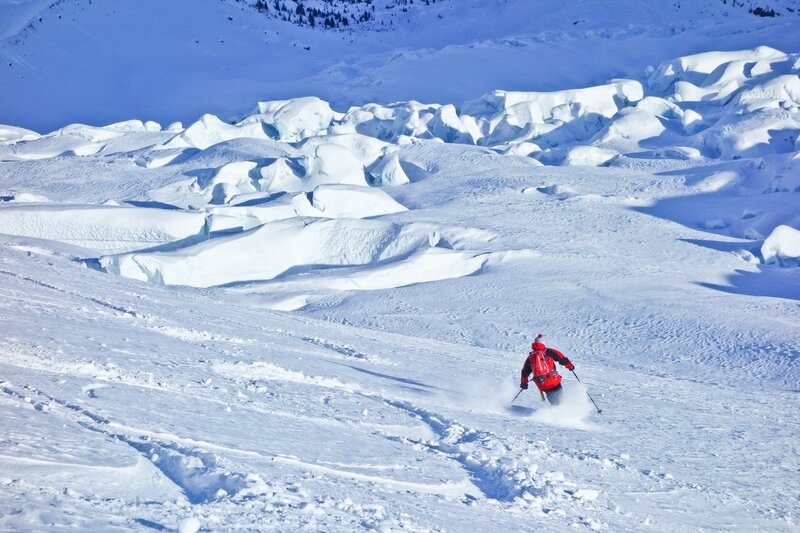 Ian mixes his time between guiding and working as a professional avalanche forecaster with BC Highways. Tom and Ian met during their guides’ exams and did many trips and courses together! 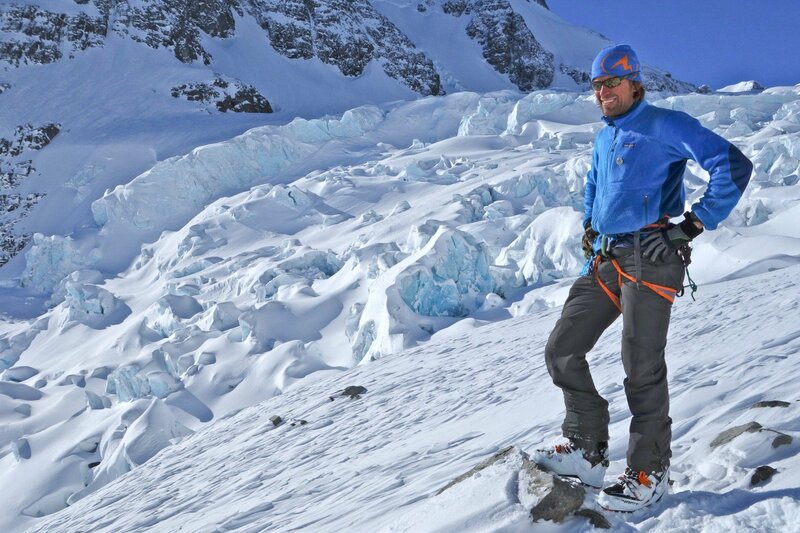 Christoph Dietzfelbinger (Mountain Guide, ACMG/IFMGA) is the owner of the Burnie Glacier Chalet. 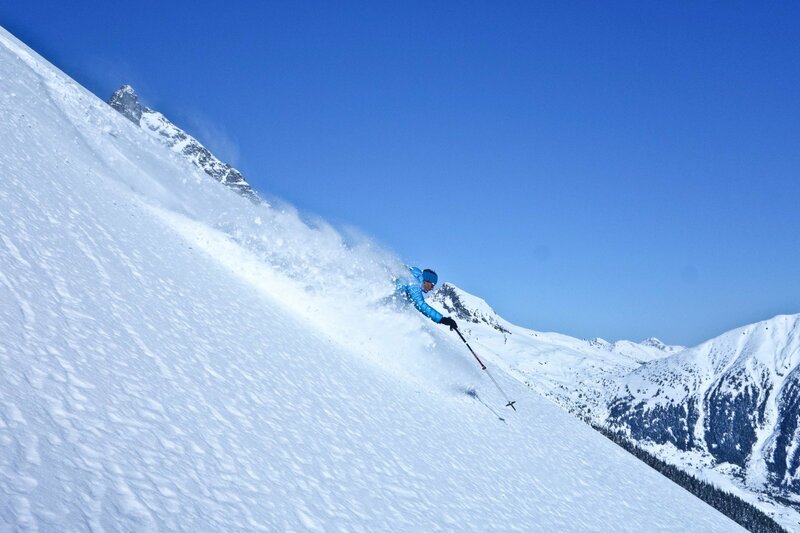 He is the one who has developed the area for both winter and summer use and it is first and foremost Christoph whom we can thank for being able to spend a week of skiing in such a wonderful facility. Finally, life at Burnie includes superb meals. These are prepared by one of our two gracious in-house chefs, Molly and Monika, who consistently amaze guests with their beautiful, tasty, and abundant food. We are happy to accommodate special diets. 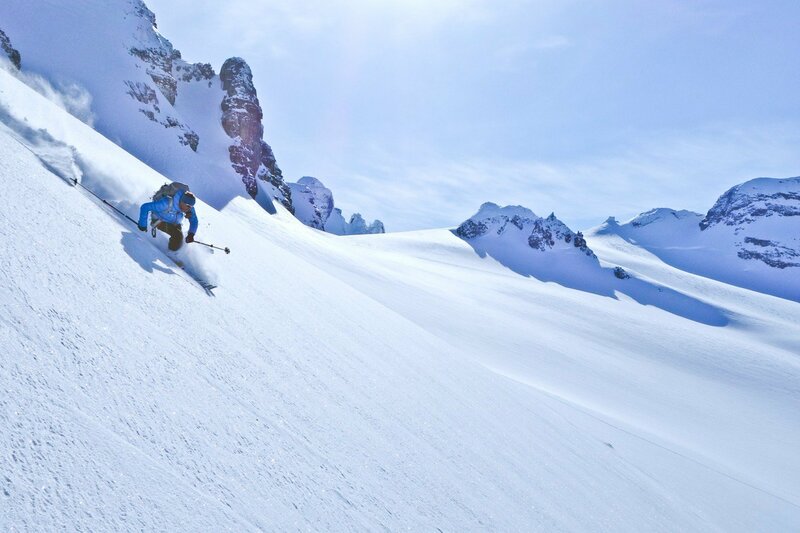 Our goal is to provide you with the best skiing possible in the comfort and ease of a fully catered backcountry chalet. An awesome trip with a great, conscientious and professional guide. 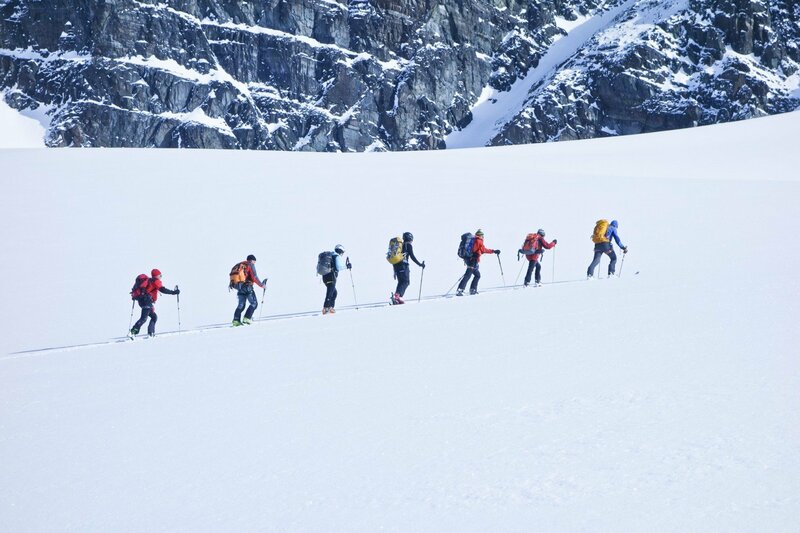 Definitely felt that Tom listened to the whole crew and took our collective objectives, safety, weather, snow conditions and skill sets to get the maximum we could have out of our Bow-Yoho traverse over new years 2018. Super fun trip and lots of hilarious and educational stories and experiences Tom shared with us. And Eric was great to in lending a hand where needed and carrying a ton of weight too. Would definitely recommend both Tom and Eric for any high adventure trips and for any furthering of backcountry education. Not only do they really know their craft, they present their knowledge in a smooth and easy way for all to understand and learn from. Great guides, great guys. All five stars for sure! 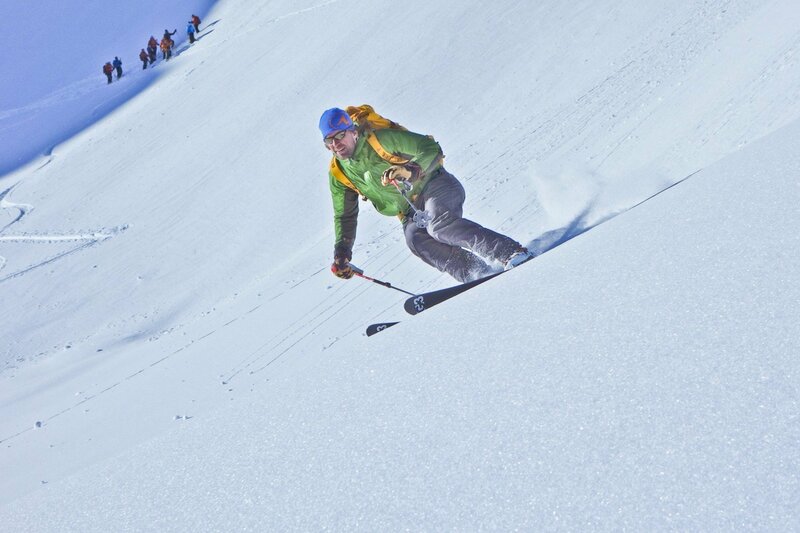 I was out on trips with Tom Wolfe of Sawback Alpine Adventures twice during the ski season winter 2018. Both trips were great. 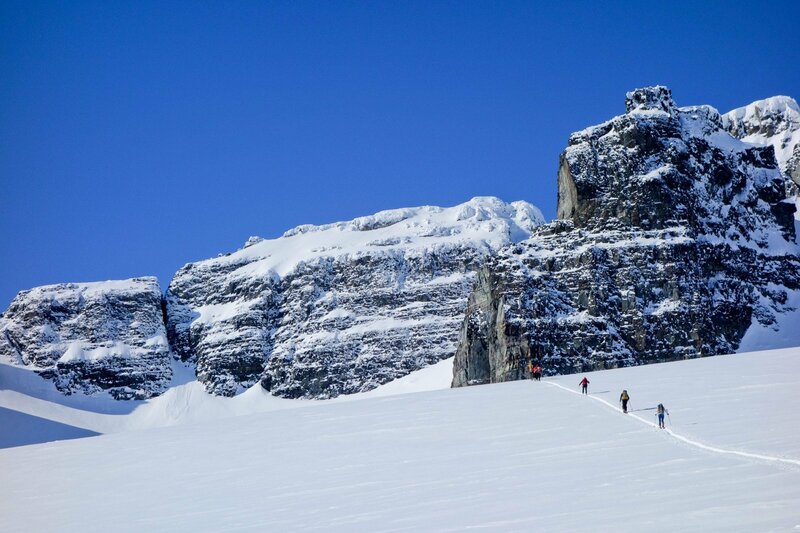 The Bow / Yoho Wapta Traverse was particularly spectacular travelling between Alpine Club of Canada huts. Tom really knows this area well. 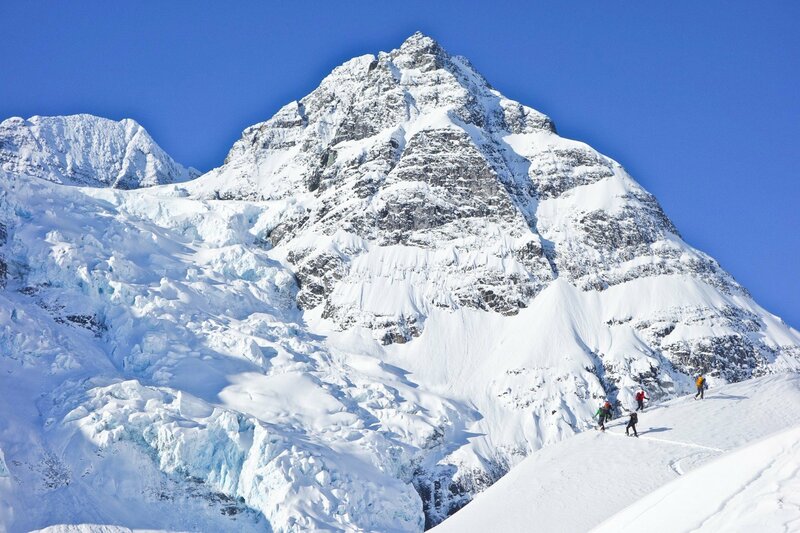 I've now spent 9 days in the mountains with Tom of Sawback Alpine Adventures. 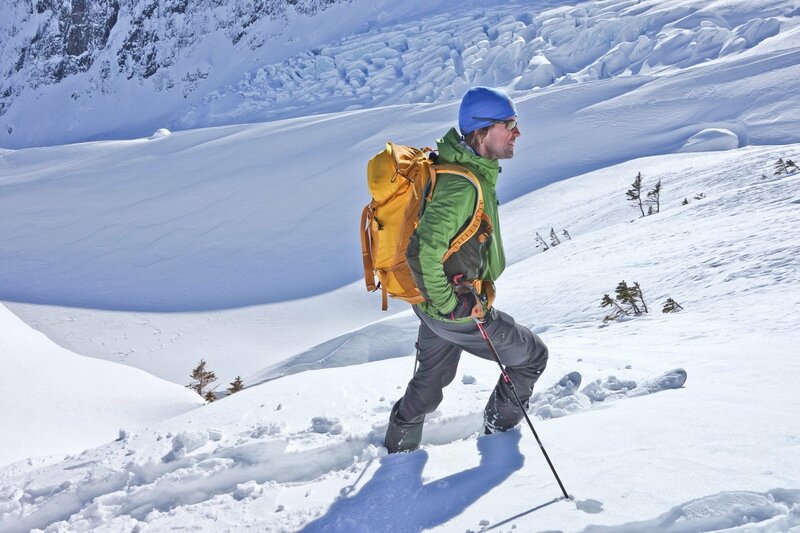 Tom is methodical in his snowpack analysis and does a great job of breaking down all the steps he takes to be safe. 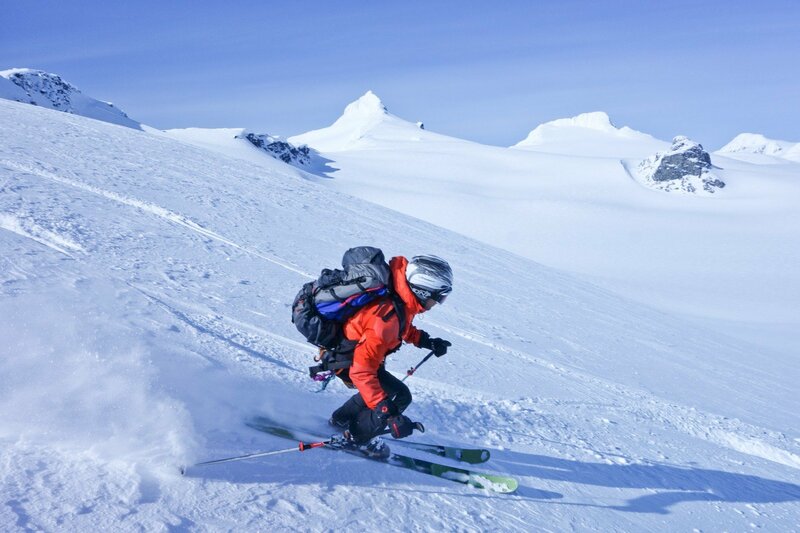 If you are keen on learning how to safely push your limits on snow, Tom does a great job on balancing safety and fun. 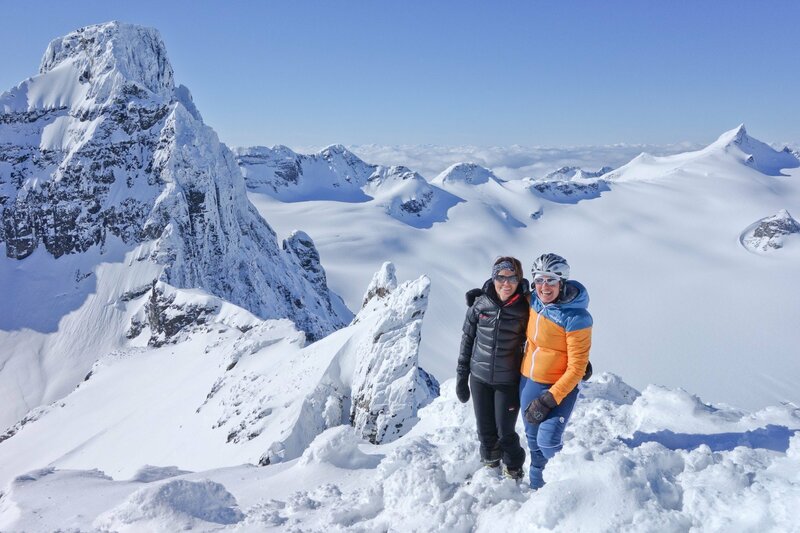 My trips with him have always seemed to fully embrace the new slogan "send and return" where there is an equal amount of fun turns and exciting climbs as there are snowpack and weather observations.